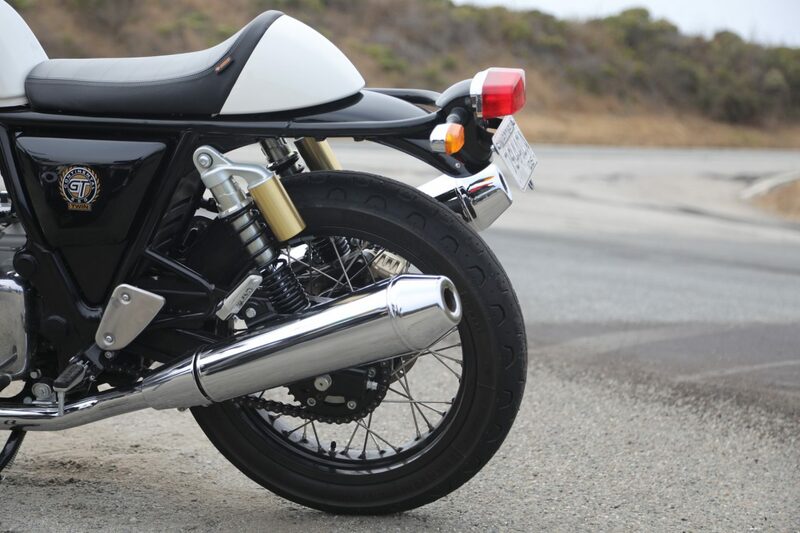 ‘This is probably not going to be all that different from the Interceptor,’ I thought before letting the clutch out on the new Royal Enfield Continental GT 650 for the first time. And by the time my dangling leg had found its way to its rearset footpeg, I’d already changed my mind. The motor might be the same, but this was a different animal. Yet more confirmation of what a difference a few cycle parts can make to the spirit of a motorcycle. 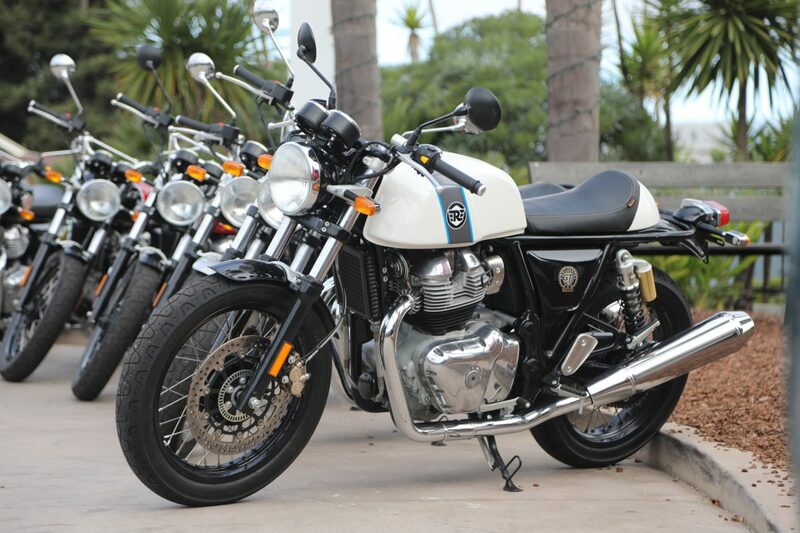 Even before that, I’d spent two non-riding days simply staring at the Continental GT 650 whenever I got the chance. This bike is almost ridiculously good-looking. However, as the saying goes, there is no beauty without despair, and so it is with this cafe racer, too. My knees gripped not the tank but the motor’s head; nothing melted, but I couldn’t help occasionally imagining the smell of riding pants turning into fumes. And even though its fork-mounted clip-ons and rearset ‘pegs are designed to be as comfortable as possible, you can’t escape the fact that it’s not as relaxed as its more sensible sibling. And that sets the tone for the rest of this gorgeous motorcycle. 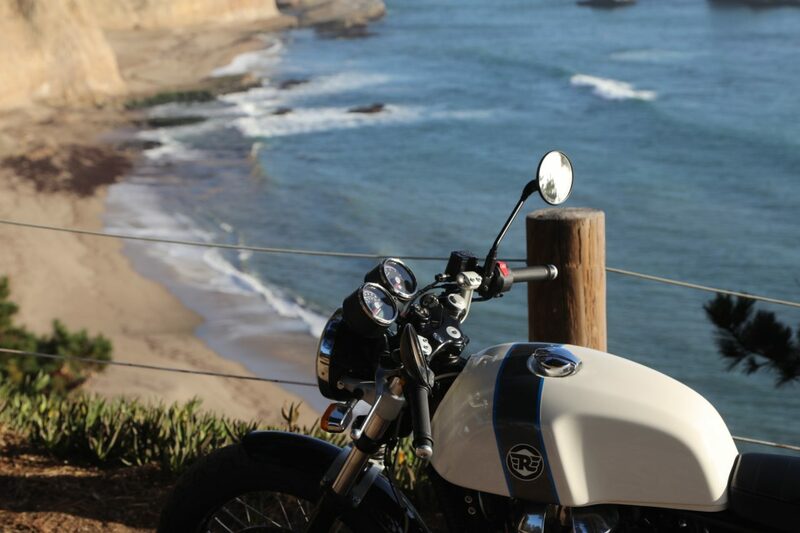 Practically every aspect of riding the Continental GT demands and rewards commitment. The steering, although manageable, is definitely heavier than the Interceptor, and there’s more weight on the front of the motorcycle which helps in carpet-bombing a set of corners, but not like you’d think. 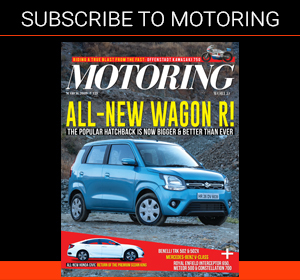 Arriving fast at a corner is never a problem, thanks to the 47-bhp parallel twin, and the brakes are strong and sure in hauling the whole shebang down to entry speeds. However, and this is probably a function of the non-adjustable suspension, there is little feedback from the front end. You just have to trust it. Consequently, at least for me, it was difficult to get into a smooth flow with the bike. However, thanks to the hardworking brakes and the tyres, I resorted to a more point-and-shoot approach which turned out to be quite entertaining. Agility is not an issue with this motorcycle, though, as with the Interceptor, there is an ever-so-slight weave present at the front above 110 kph. 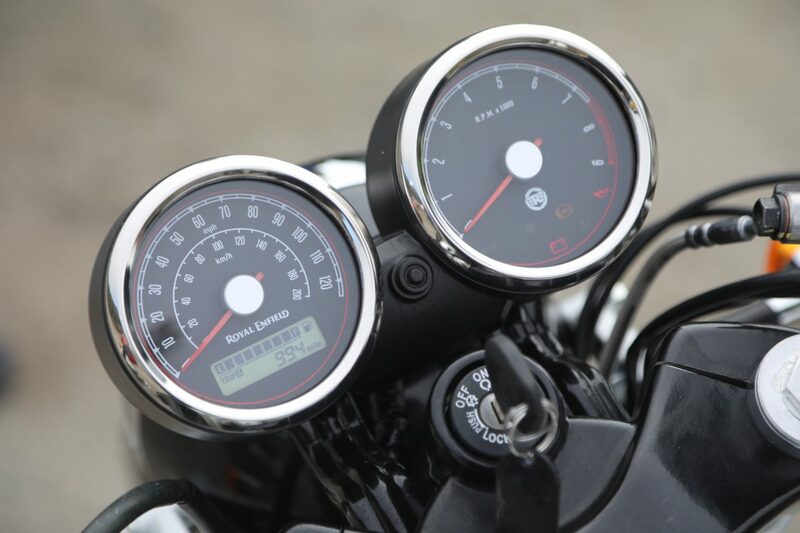 But it never gets out of hand; even above 160 kph the Continental GT 650 stays planted. In fact, it almost seemed as if the shaky feeling existed only between 110-130 kph. Also, put anyone in a racing crouch on a motorcycle and they will go faster than they would on a more upright bike. 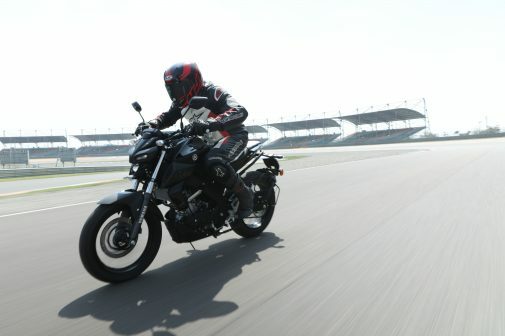 And that’s why the Continental GT 650 feels more involving because the wide-open throttle simply amplifies everything that the Interceptor 650 won’t. This bike is 4 kg lighter than the Interceptor 650 and also carries around a litre less in its shapely fuel tank, but these aspects, I imagine, would be hardly noticeable in daily riding life. What I really think and want, though, is a louder voice via its twin pipes to match its attitude. 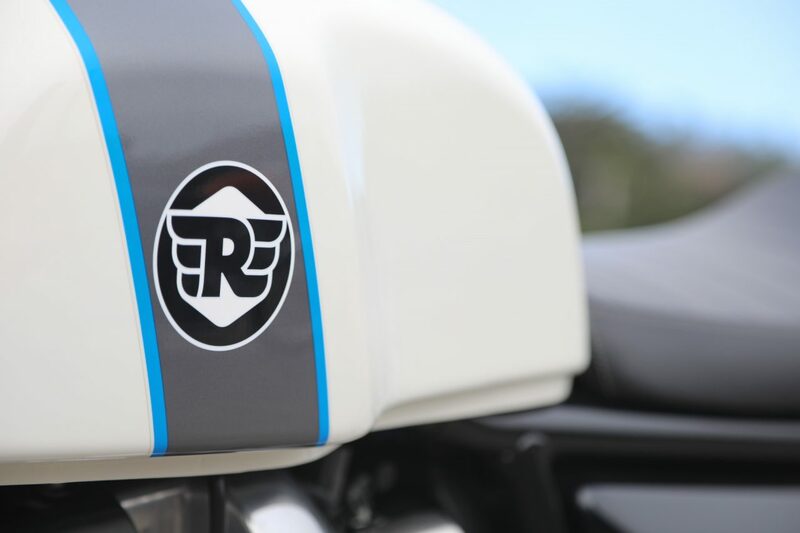 The Interceptor is just fine being nice and mellow, but this one needs to be brash. I mean, who’s ever met a soft-spoken hooligan? 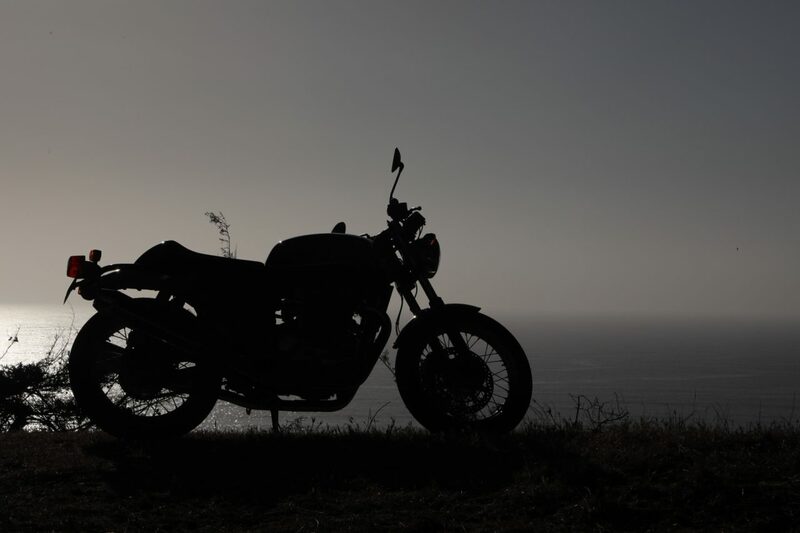 I think I’ve just about finished what I wanted to say about the Continental GT 650. There’s really not much to say in the first place, considering it’s the same bike I rode yesterday underneath it all, so you can read that story to know more about the common parts. But attitude does make all the difference. Words don’t do justice to how this motorcycle feels to be on and around. It’s exotic, and if all goes as hoped for, it will be accessible, too. And while I fully expect the Interceptor to lead sales, the Continental GT 650 will remain a glorious reminder of just how beautiful and engaging motorcycles can be.